Creamy mayonnaise and Greek yogurt dressing tossed with Ditalini shaped pasta, crispy chopped bacon, shredded green lettuce, diced tomatoes, cheddar cheese and red pepper flakes. Serve for barbecues, holidays, potlucks and as a side dish. With the first week of spring in full bloom, I’ve been looking for a reason to get outside and celebrate. Spring in Louisiana means that the trees have bloomed and it’s heating up outside. I’ve come to appreciate spring in the south as it’s perfect in every way before the heat and humidity start in May. This past weekend, we had friends visiting from Wisconsin. While they were in their swimsuit and jumping in the pool, I was preparing the food. Since it’s the first grill of the season, I want it to be special. 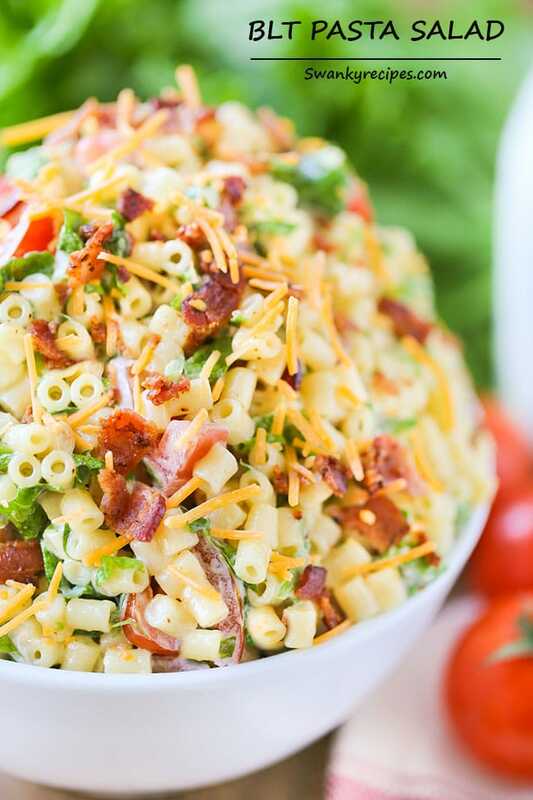 I’ve been waiting for this day for months and this BLT Pasta Salad just seems like the perfect dish to celebrate with. This time of year I love to hit up visit a few local farmer markets. I stock up on anything that is in season and store in the refrigerator then plan meals around each hull. What I dislike the most about stocking up on fresh fruits and vegetables is that some of it goes bad pretty quickly. It’s a constant struggle to finish everything before it spoils. Fresh vegetables and fruit that sit on the counter rot pretty quickly because of the humidity. This past week I started using Rubbermaid® Freshworks™ Produce Saver storage containers to help keep the produce fresher for longer. What I love about these storage containers is that produce lasts three times as long as traditional stored fruits and vegetables. 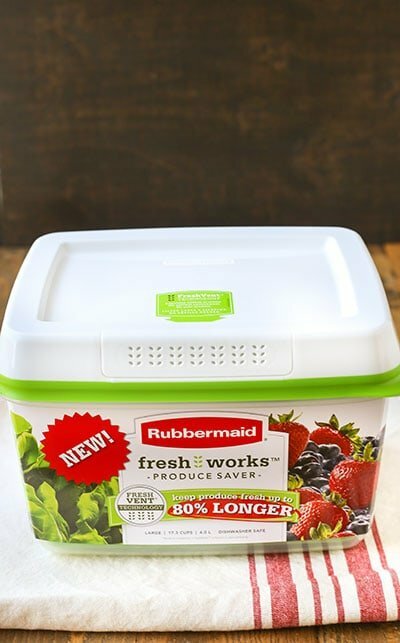 Rubbermaid® FreshWorks™ Produce Saver is a brand new food storage container that uses revolutionary FreshVent™ technology to keep produce fresher up to 80% longer (when compared to store packaging). The containers are BPA free and dishwasher safe which makes clean up that much easier. With spring in full swing, you’ll want to make a fun and flavorful dish that are perfect for barbecues. 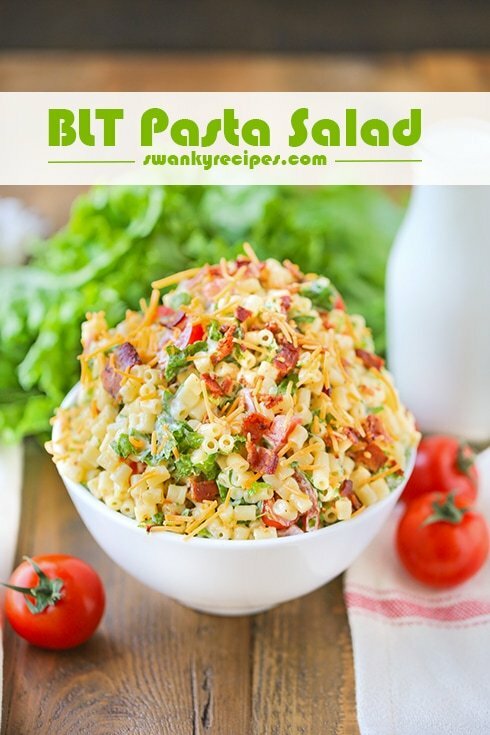 This ridiculously easy BLT Pasta Salad is perfect as an appetizer, side-dish, or even a main dish. What are some of your favorite picnic dishes to make this time of year? Creamy mayonnaise and Greek yogurt dressing tossed with Ditalini shaped pasta, crispy chopped bacon, shredded green lettuce, diced tomatoes, cheddar cheese and red pepper flakes. Serve for summer barbecues, holidays, potlucks and as a side dish. In a medium pot over medium high heat, cook 16 ounces of pasta according to directions. Meanwhile, cook bacon in skillet over stove top then chop once cooled. Drain pasta and toss with 1 tablespoon olive oil; set aside. 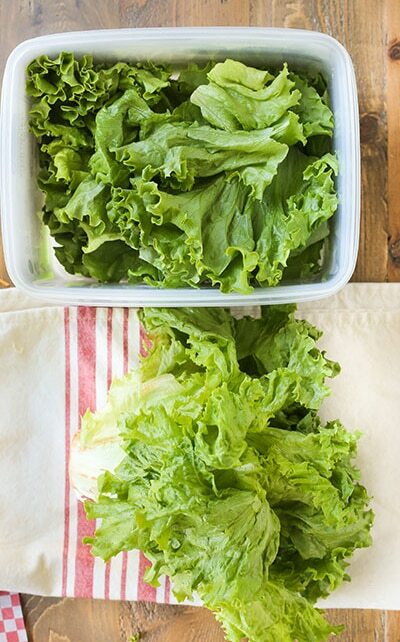 Chop lettuce and tomatoes. In a large bowl, combine mayonnaise, Greek yogurt and pasta noodles then toss everything together until coated. Stir in lettuce, chopped bacon, tomatoes, red pepper flakes and cheddar cheese. Refrigerate until ready to serve. Oh wow, I want to dig into some of that! I know pasta salads kind of have a bad reputation but they’re so perfect for picnics. Can’t wait to take this on one. This looks fantastic! Love bacon in salads, this would be fantastic at a summer BBQ! I love love love macaroni salad. Your photos are gorgeous. I wish I had your Louisiana spring though…I live in Toronto and while it’s technically spring, we are expecting snow tomorrow lol! This salad might just be what we need to brighten up our day. BLT pasta salad?! How creative! It looks so yummy! This is definitely perfect for spring and has spring written all over it. Fresh, vibrant and full of color. BLT pasta salad. Yum! Holy hell, this looks amazing. Like, super amazing. Like, super duper amazing. 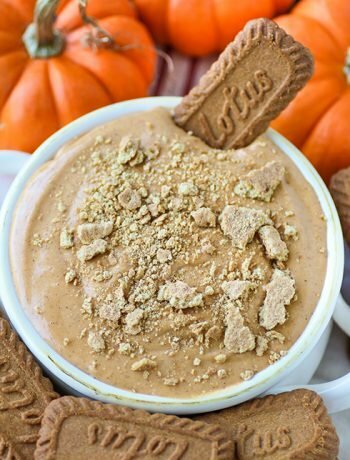 I need this in my mouth right now! 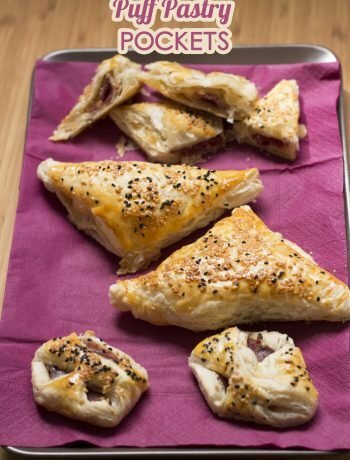 Looks really yummy, planning on making it. But question, what do you do with the second tablespoon of olive oil? Did I miss something? Thanks for the great recipe! I usually put about a tablespoon or less of olive oil in the pasta water while it cooks to prevent the noodles from sticking to each other and getting soggy. Yumm! This turned out tastier than I expected and went perfect as a side dish for a BBQ. I love the addition of red pepper flakes in this recipe, I even doubled the amount. Next time I’ll add some diced green onion. 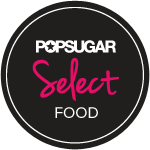 Thank you for this great, simple pasta salad. Yay, glad you liked it! 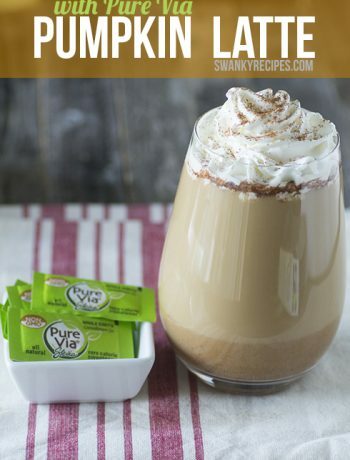 It’s such a simple and classic recipe to make this time of year. 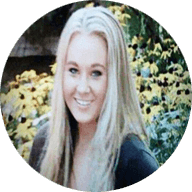 Thanks, Jillian! I think I will make this tonight, sounds perfect paired with pork chops on the grill, some tangy bar-b-questions sauce and a cold beer. One question. Do you think that additional seasoning is necessary, or is the mayo and Greek yogurt enough? I think it’s enough. Sounds delicious! Hi Martha, go ahead and make the pasta ahead of time. Just be sure to toss it with a little olive oil before storing it in the fridge. Then just toss it all together when ready to serve. Hi Angie, I’d probably save it for 4-5 days. Re-wet it with the dressing if needed! 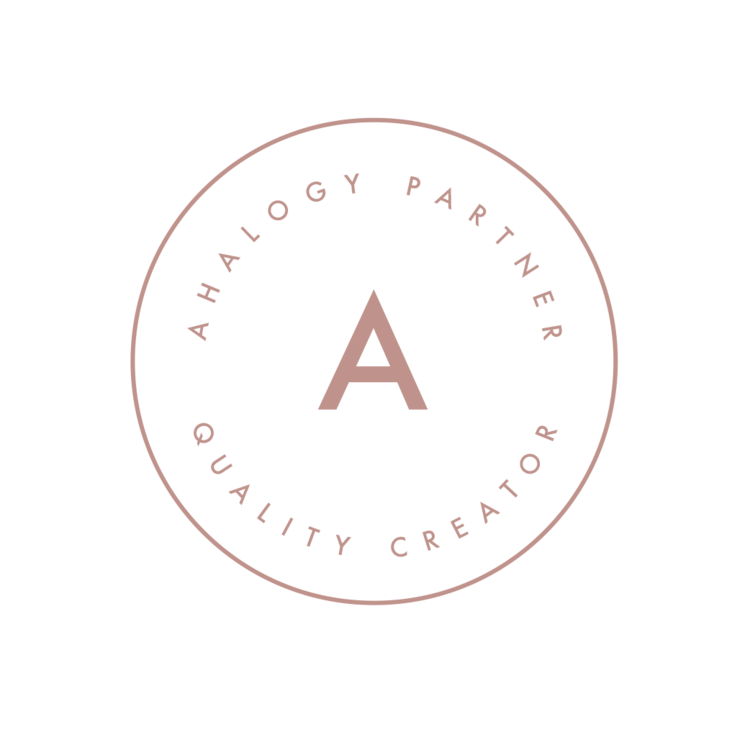 Rwhat is something easy that this can be paired with……. Do not have a grill yet… Thanks! Brats, and roasted chicken! 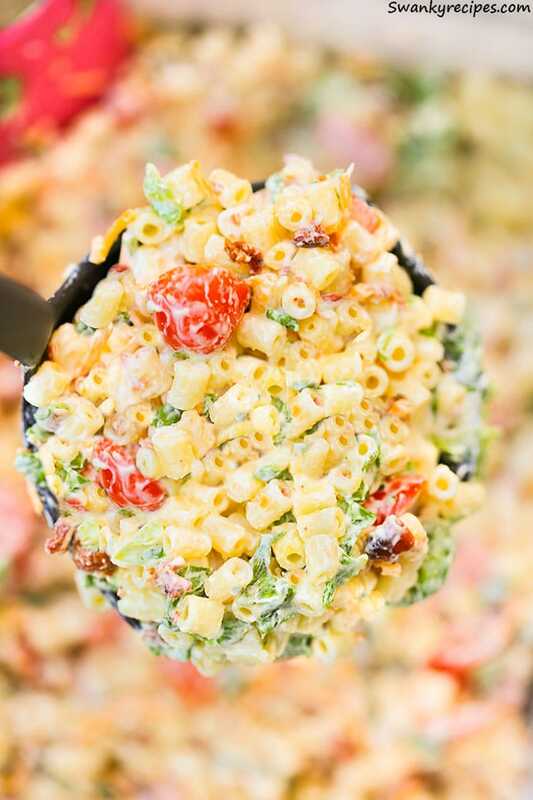 I love to bring this BLT Pasta Salad and a side of Sweet Buttermilk Cornbread to parties but we also eat it at home!